Are you a person who wants to improve your strength without putting on muscular bodyweight? 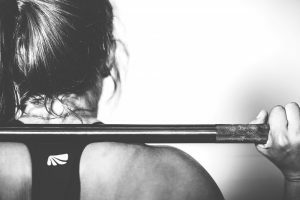 Whether it’s an athlete who needs to maintain a weight class, a woman who doesn’t want to get bulky or a guy who’s happy with his current muscle to weight ratio, there are a lot of gym goers who are NOT chasing the holy grail of added bulk. 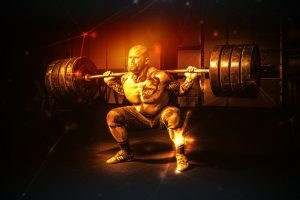 In this article, you’ll discover a half dozen strategies that will enable you to get stronger without getting bigger. Getting strong is all about lifting heavy weight. Of course, that’s a relative thing – heavy for you might not be heavy for me. 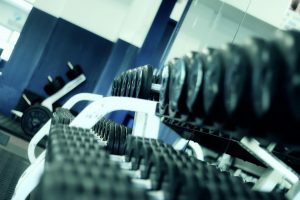 So, the first thing you need to do is to work out your one rep maximum on the key lifts. To determine your one rep max, we suggest that you team up with an experienced weight trainer who will be able to determine if you are using correct form. There is no point in lifting heavy if your form is going to break down. Doing so is will put you on the fast-track to injury. Once you have got your form down pat on these exercises, load the bar to a weight that will allow you to perform 4-5 reps with perfect form. Be sure to have an experienced spotter standing by who can check your form. Once you’ve completed your set, add weight and go for 2-3 reps. Then go for your final single rep set with the max weight that you can perform with good form. Once you have your max weights on the key moves, you can now calculate your working weights. In order to build muscle you need to be using 60-75 percent of your one rep max, but to build strength you need to using 75-90 percent of your one rep max. Lifting heavier means that you do fewer reps. So, whereas as those people who are training for strength and size will be hitting reps in the 6-8 range, you will going for 2-5 reps in your range. There is another way to calculate your one rep max. It’s not quite as accurate but is quicker and easier. Strength coaches use a repetition max chart that allows you work out your max based on non-max lifts. The chart looks like this . . . 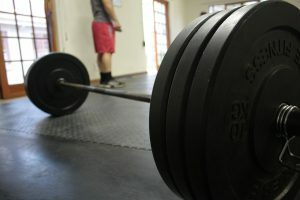 So, if you are able to 10 reps on the deadlift with 200 pounds, then you know that that is 75% of your one rep max. Some simple math will allow you to work out your max lift . . .
You have now worked out that 267 pounds is your one rep max on the deadlift. There isn’t one single rep scheme that will allow you to consistently build strength without putting on size. Rather, you need to vary your approach every 6 weeks or so to keep your body guessing. Here are 3 very effective rep schemes that will take your through 18 weeks of training. Keep rotating them throughout the year for great results. Here you will be performing 5 sets in total. There is no such thing as a warm up set, as every set is actually warming you up for your max lift. On the first set you use 78% of your one rep max for 8 reps. The second set is 88% for 4 reps, then 3 reps for 90%, 2 reps for 95% and your final one rep max at 100%. Only do the prescribed number of reps, despite feeling that you can do more. Perform every set as if it was your maximum effort. Give yourself plenty of time to rest between sets – about 2 minutes should be ideal. You should not work up to your one rep max for more than 3 weeks in a row. In the 4th -6th weeks adjust so that you are maxing out on your 2nd rep max. For your second six-week routine, go with a 10 sets of singles program at 90% of your one rep max. The quickest way to get super strong is to do multiple sets of your heaviest weight without risking neural fatigue and reduced progress. Start with a warmup set where you perform 6 reps at 83% of max and then go straight to your 1st set at 90%. Again, give yourself around 2 minutes to rest between sets. This will allow plenty of time for the ATP in your cells to regenerate for maximum force on your next set. Wave training is possibly the best way to ramp up your strength gains. Waves are done in threes sets, with the weight going up and the reps coming down in each succeeding set. If you can get through all three sets of the wave without missing a rep, you them perform a second wave, but increase the weight slightly on each set. We recommend starting the second wave with the weight you used for the second set of the first wave. You continue adding waves until you drop a rep. if you were able to complete four waves, then you would have completed a new personal record on your one rep max for that exercise. Plyometric training is a great complement to heavy weight training for people who are looking to build maximum strength. Plyometrics are bodyweight exercises that are performed explosively. When you are doing plyometric exercises, your feet or hands will be in contact with the ground for the shortest possible time in order to build power and speed. An example of a great plyo exercise for the upper body is the plyometric push up. Perform a normal push up but on the ascent explode upward to bring your hands off the ground. Advanced versions of the plyo push up involved clapping your hands or coming up so high that you can clap them behind your back ( good luck on that one!). One way that you can complement your strength training with plyometrics is by performing a superset that involves a heavy compound exercise followed by a plyometric exercise. If you want to get strong you need to spend the vast majority of your time on the heavy compound moves that allow you to move the most amount of weight. Rather than relying on a single target muscles group, these exercises call on your body’s muscles to act in concert to get the job done. They also call into play the smaller supporting muscles that are needed for stability. Have a full day’s rest between each of these workouts. Three exercises per workout may not seem like a lot, but when you are using near maximal weight for 5 sets on each move, it is just what you need for maximal stimulation without annihilation. After your last exercise give yourself 5-10 minutes of rest and then perform a coupe of plyometric moves to build up your explosive power. The most important factor in building strength is to be consistent with your training. Going into the gym and working near your maximum weight every time is hard work both physically and mentally. You need to be prepared to give your best effort each and every workout. Remember that your workouts are quite short and you will only be doing that move one time in the whole week, so you must make the most of that opportunity. The final reminder is that you never want to sacrifice good form in the pursuit of poundage. As soon as you find your form breaking down, stop the rep and back off on the weight. You need to be only interested in perfect reps. So, keep yourself to a high standard!